Today we've got a really great guest post and giveaway by Linda Nightingale. She's here to talk about Japanese lifelike robots and how they relate to her new book, Love for Sale. We all know how much I love my android/cyborg romances, so I'm thrilled to be hosting her here. Now that we're done ogling, let's actually get to these robots. Take it away, Linda! A hi-tech hotel in Japan, Nagasaki prefecture's Henn-na Hotel, opening in July will employ ten robots at the check-in counter as receptionists. If you think these humanoid androids are creepy, you might think twice about visiting this hotel. They can establish eye contact and respond to body language. In my sci-fi romance, Love For Sale, which will be released by The Wild Rose Press on June 10, my androids are completely indistinguishable from human and are sold as companions… programmed to love. When I wrote Love For Sale, I didn’t know about the Japanese life-like robots. I don’t find them creepy but extremely interesting. I’d love to interact with a human-like android. Thanks for having me on your blog! I enjoyed my visit. 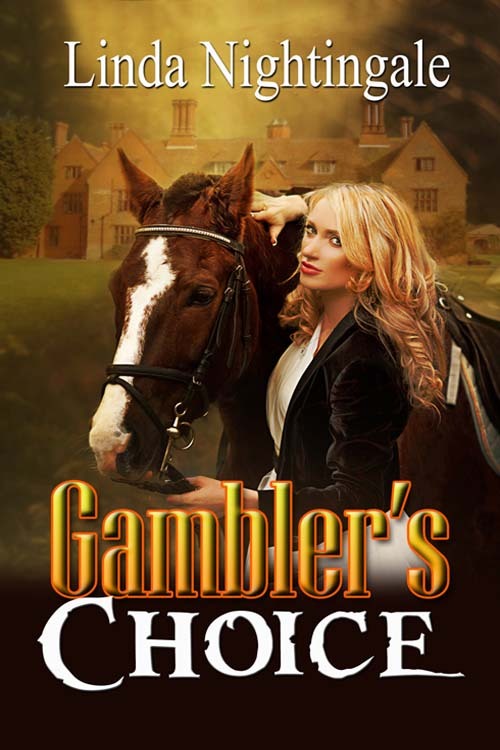 And lastly, coming soon from Linda—Gambler's Choice from The Wild Rose Press. I don't know that I find the idea of a robot programmed to love creepy but it does seem kind of empty. Not the greatest example since the people sometimes do find love, but it almost reminds me of an arranged marriage, made for function and not passion. I think it would be fun to hang out with a robot, but not as a replacement for human interaction or romance. I don't think there is any real way to be satisfied emotionally by a robot, especially as they are now since they aren't indistinguishable from humans. Thanks Diane and Karen for stopping by! Actually, I find the current status of the android rather creepy, too. In Love For Sale, Christian is very human. I don't know. I might try it if such a being were available. Did you ever read Silver Metal Lover by Tanith Lee? Thanks for visiting, Kimberly. I'm a little surprised that all the responses thought that the thought of a human-like android was disturbing. I never really thought that, but it is interesting to have others' feelings on the matter. I don't know...I do find it creepy, but I would be interested in letting one check me into a hotel just to try it...as long as they stay downstairs. I think it would be more creepy if one brought me more towels or something!